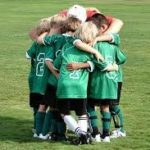 Most parents encourage their kids to get involved in a sport at a young age, but not every kid is interested in football or soccer. Some kids look at a long stretch of green field or an impossibly high basketball net, contemplate getting knocked around and think it looks like the worst time ever. This can discourage parents who want to help their kids feel engaged and happy. Just because a kid isn’t into running fast or throwing far doesn’t mean they can’t experience all the awesome benefits sports offer. Some families may just need to spend a little extra time to find the sport that’s right for their child. Here are three nontraditional sports that might not always make headlines but will still teach your child valuable concentration, cooperation and critical thinking skills. Fencing has been practiced for thousands of years worldwide. It evolved from military training into a sport sometime during the 14th or 15th Century, and both Italy and Germany lay claim to its origins, according to the official website of the Olympics. This quick-moving sport requires its participants to develop dexterity, flexibility, endurance and problem-solving capabilities. Often called a science and an art, fencing is accessible to all ages and people. The game has even been adapted for the blind and those who use wheelchairs. Fencers use one of three flat-tipped blades known as a foil, epee or sabre and attempt to strike clearly defined target areas on their opponent’s body. Wire mesh masks protect the head and face of the fencer, and the dulled blade tip make this a completely safe sport! The fencing “bout” happens on an area known as a “strip,” and they are very fast paced. In direct elimination play, the object is to be the first person to score 15 points or “touches” on the opponent. Each bout consists of three three-minute periods. As a sport that relies more on strategy and tactics than weight or strength, a quote by British author Charles Allen rings true, “Creativity is the essence of fencing.” Maybe this classic sport is perfect for your creative child! The sport of archery isn’t as fringe as you may think. Almost 19 million Americans participate according to the Archery Trade Associationand competitive events happen frequently all around the world. Success in archery depends on concentration, self discipline and the ability to learn from mistakes. What kid wouldn’t benefit from improving in those areas? There are many different disciplines in the sport of archery, the most common and best for beginners is target archery. Athletes use either a recurve or compound bow to aim for targets that are sometime set as far as 295 feet away. Target Archery is both an indoor and outdoor sport, so archers can hone their skills year round. Some math smarts definitely come in handy as archers become more advanced. Calculations are required for making either up or downhill shots, and factors like the height, weight and stance of the archer all affect each attempt to hit the target. Just check out the skill that goes into making these shots! According to World Archery President Professor Dr. Ugur Erdener, “Archery is one of the world’s most ancient sports, but it is also a sport that is constantly evolving and embracing the very latest technology.” If your kid is interested in numbers, the calculated sport of archery might be a great fit. If your only experience with curling is watching it for a few minutes during each Winter Olympics, you’re probably not alone. In fact, this sport that dates back to Scotland during the 1500s only officially joined the Olympics in 1998. Curling games are played between two teams of four players on the “sheet” or ice rink. 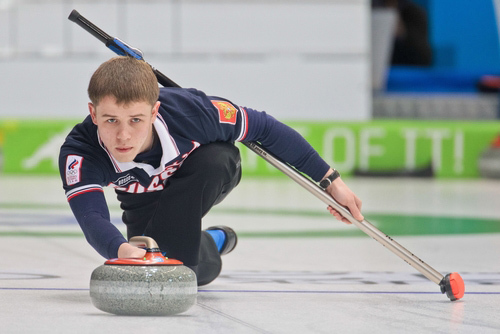 Each player takes turns throwing the granite curling “stone” or “rock” down the sheet towards the target or “house” while the others use brooms to sweep the path of the rock in order to smooth the “pebbled” ice and “curl” the rock towards the center target or “button.” A curling tournament is known as a “bonspiel” where sometimes just for fun, competing teams will even dress in costume. As you can see there’s quite a bit of lingo associated with curling! Since all four members of a team work together during play, cooperation and teamwork are especially valuable for curlers. Players yell instruction and strategy to each other as the stone travels down the sheet. As the sport has gained popularity so has it’s reputation for being extremely competitive. If your child shares that competitive spirit, enjoys smaller groups of people and learning new words (or if they like to throw rocks at houses! ), curling could very well become their next passion. Athletes come in all shapes and sizes, ages and ability levels. There is something for everyone in the world of sports; many times it’s just a matter of finding the right match. Fencing, archery and curling are great options for any kid looking to try something new. We’d love to hear what you think! Let us know in the comments if your kids have ever considered a nontraditional sport. Kat Burke is a writer and communications consultant for TeamSnap. She grew up playing soccer and softball but would have loved to try fencing at a young age. Kat also instructs yoga in the Boston area.